Learn about spatial relationships as you assemble the 14 puzzle pieces together to build each challenge. 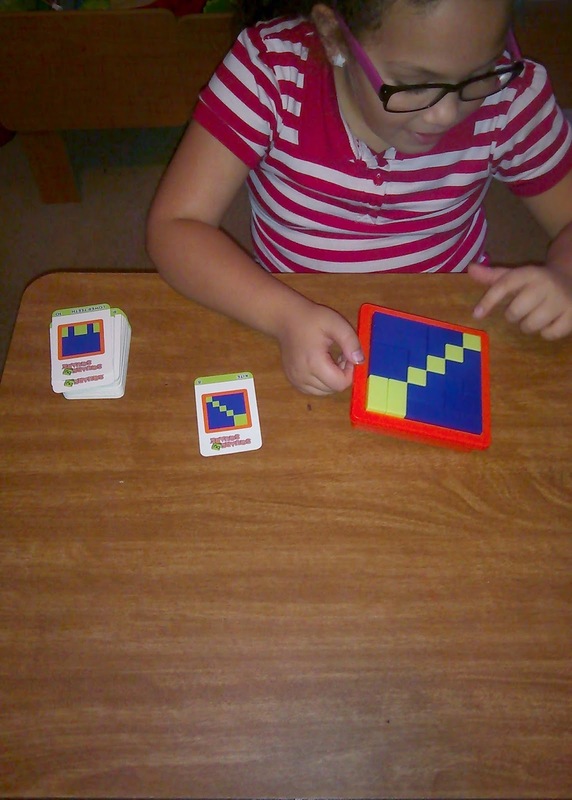 When done with the 60 challenges, get creative and use the pieces to build your own patterns! 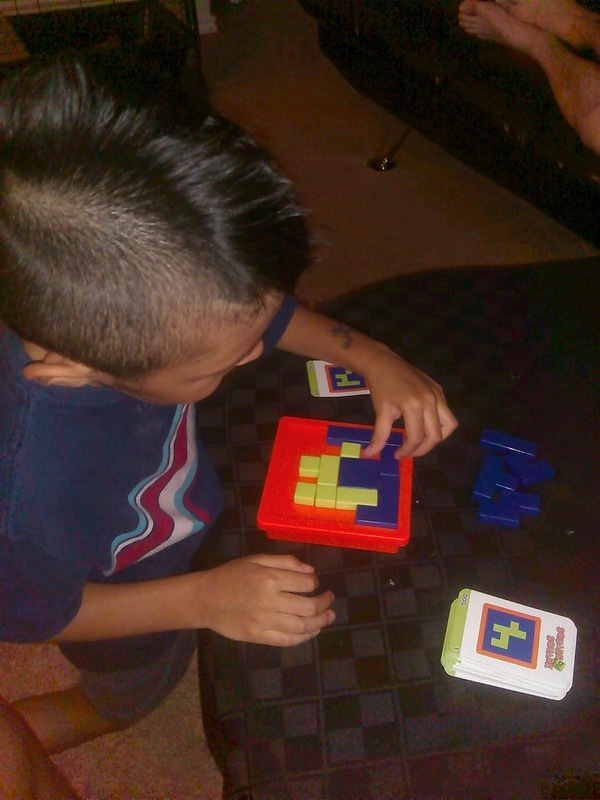 My son and I both love to play games that make you use our brains. He's six and I'm near 30 but we love to play these sorts of games. We enjoyed playing another game by Thinkfun, together, so were happy to give this one a try as well. 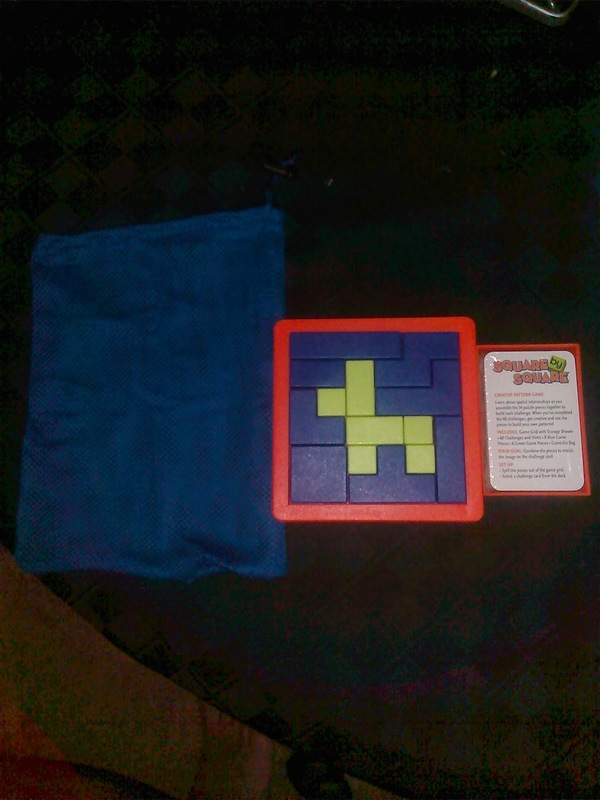 My son and my niece tried this game first and they had a lot of fun trying to put the little blue and green tiles together to try and recreate the images on the card. There were a few that they were really struggling on but they still had a great time trying. They were giggling and really enjoying themselves. It kept them busy for a good while, when I needed to do some work. Love that! My husband and I also played it together. We took turns and then we would try and help each other when one of us had trouble. We both thought it was a lot of fun and one day we would love to complete the entire game. It is a wonderful game to play solo, as a family, or with friends. I would love to try any other games that Thinkfun has available.